Get inspired and learn from the bests! The LOC is happy to invite you on Thursday, September 6th, starting at 6 pm, at hotel ‘Golfer’ Life Class Terme SV. Martin for the seminar " Ultrarunning: The sport transcending across physical hurdle or mental barrier ". The seminar is part of the 2018 IAU 100 km World Championships program. 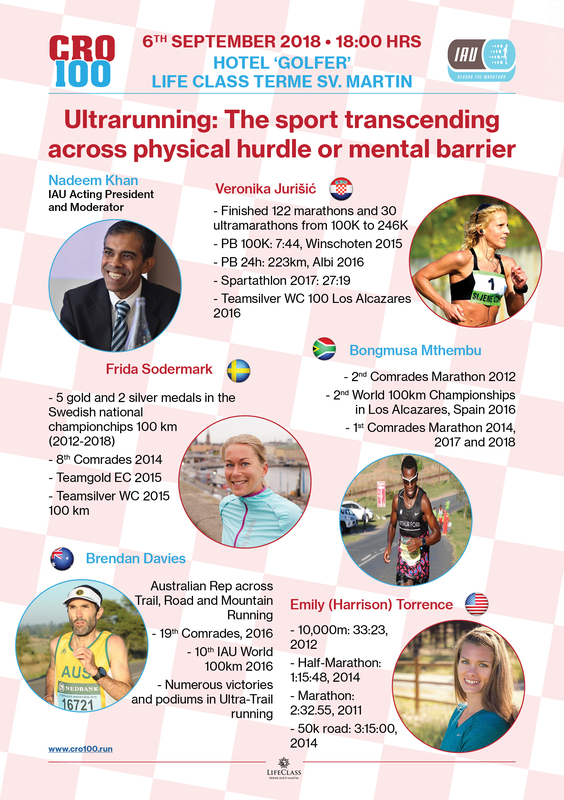 The speakers will be five great athletes who have exceeded their limits, promote ultra running and achieve great results. You can see on the picture below who we will have it with short description on their achievements. The seminar is open for anyone so if you are interested you can participate.